Hakone is a lovely mountainous town less than hundred miles south of Tokyo on the foothills of Mt Fuji. Traditional inns aka Ryokans and pleasantly relaxing hot springs “Onsen” are the staple attraction in Hakone, with Mt Fuji being its crown jewel. 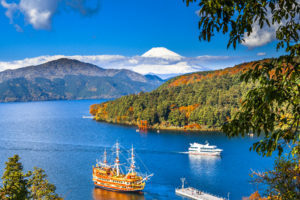 Beautiful Hakone is a natural nature wonderland, part of the Fuji-Hakone-Izu National Park, and has about everything a vacationer could wish for. A great destination for hiking, with marvellous views at every turn and plenty of hot springs to soothe any aching muscles after a days of exploring. Besides the towering mountains, lakes and views of Mount Fuji, it is also blessed with interesting historical sites, temples and Shinto Shrines. 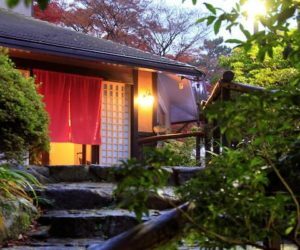 A stay in Gora Kadan, the former retreat of the Imperial Family, situated in the heart of Hakone National Park, is an invitation to bring your five senses to life by immersing yourself in the ancient Japanese way of life. 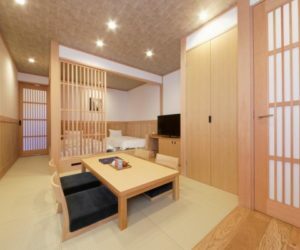 Simple ryokan that will offer you a good idea of what is a traditional Japanese accommodation without compromising much western comfort. 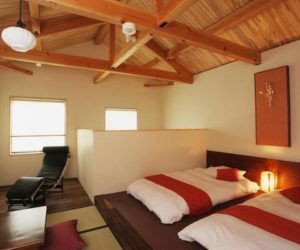 Family friendly ryokan with a modern style and western comfort well located in Hakone area. 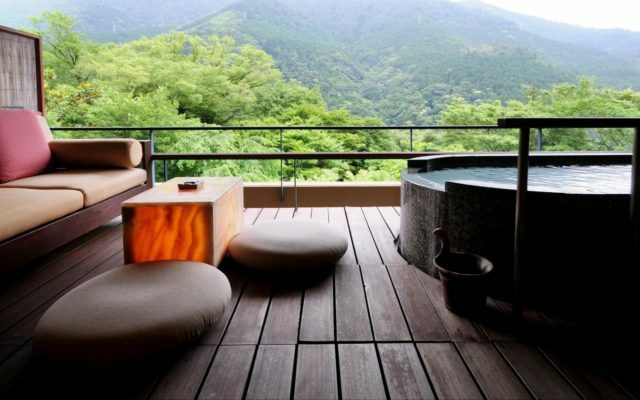 Tucked in a quiet area in between the mountains of Hakone, the astonishing views from Hakone Ginyu will lull you into a deep hypnotic relaxation allowing you to experience the calm and serenity of the nature around you. Crossing a suspension bridge over a gorgeous river, you will find Yama no Chaya ryokan, a truly traditional Japanese ryokan featuring high comfort and style. 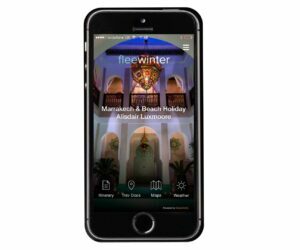 Paper walls, tatami mats, traditional dining and Japanese hot springs contribute to enjoy this both healing and relaxing experience. 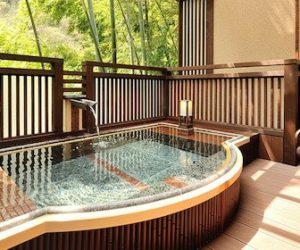 Set in the Fuji-Hakone National Park, Hyatt Regency Hakone is perfect for guests who want to experience the Hakone hot springs mountain area within the comfort of a Western-style deluxe hotel.